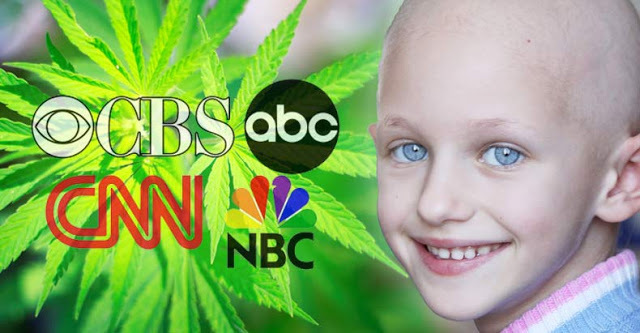 MSM Finally Admits It, Cannabis Can Cure Cancer, It’s High Time We Stop Arresting People for It..
Atlanta, Ga. – In a surprising move, CNN is reporting that marijuana may be a potential cure for certain types of cancer after numerous studies have shown the viability of cannabis as a potential cancer treatment. The report of marijuana being a potential cure was less surprising than the fact that it was covered prominently by a mainstream media outlet. The research, cited by CNN, was conducted in numerous preclinical studies on mice and rats, as well as human cells. It has shown “that cannabinoids may inhibit tumor growth by causing cell death, blocking cell growth, and blocking the development of blood vessels needed by tumors to grow. Laboratory and animal studies have shown that cannabinoids may be able to kill cancer cells while protecting normal cells,” according to the National Cancer Institute at the National Institute of Health. In another “laboratory study of delta-9-THC, human liver cancer cells showed that the substance damaged or killed the cancer cells. The same study of delta-9-THC in mouse models of liver cancer showed that it had antitumor effects,” according to the National Cancer Institute. The preliminary research is extremely promising and holds hope for numerous new treatments for numerous different types of cancer. The problem is that the U.S. federal government treats possession of marijuana as a criminal act. Even the National Institute on Drug Abuse, a US federal government research institute whose mission includes “bringing the power of science to bear on drug abuse and addiction,” has officially admitted that marijuana extracts can kill cancer cells. Currently, however, the U.S. government classifies cannabis as a Schedule I drug, meaning that the government considers it to have no acceptable medical usage or value. Other drugs classified as Schedule I are LSD, heroin, ecstasy (MDMA), and peyote. Imagine the possibilities if possessing this plant wouldn’t get you kidnapped and locked in a cage, or killed.